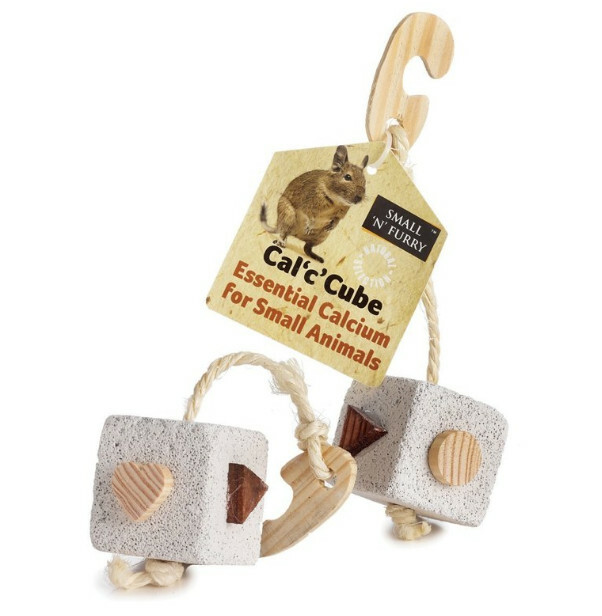 The Small 'N' Furry Cal 'c' Cube is a pumice stone which is filled with wooden inserts and is attached to a string which enables you to easily hang from the top of the cage. Great for chewing and gnawing to keep your small pet's teeth clean and trimmed. Sold singly. Below are some recent questions we've received regarding Small 'N' Furry Cal 'c' Cube for Small Animals, including answers from our team. How big is this in cm? The cubes are approximately 4.5cm in length and width. The product altogether is approximately 8" in length.